Ahh, the classic American road trip. It’s more than just getting from point A to point B. It’s about the journey, spending time with friends and family, and finding hidden gems along the way. While the spontaneity of a road trip sounds romantic, simply packing a bag and driving off without a plan is a recipe for frustration. You can avoid a lot of stress and aggravation if you start with a plan and follow these simple tips before you get behind the wheel. Before you head out, take some time to plan your route. You’ll need to decide how many hours a day you’re going to want to spend behind the wheel. Don’t be too ambitious. The trip won’t be enjoyable if you’re spending too much time on the highway and arriving at your destination too tired to do anything but collapse in your hotel bed. A maximum of five to six hours a day of driving is ideal. The point of the road trip is to see the sights, so don’t stick to major highways, plan to drive some scenic byways and country roads. That’s where you’ll see the best sights and find those out-of-the-way attractions and hidden gems. 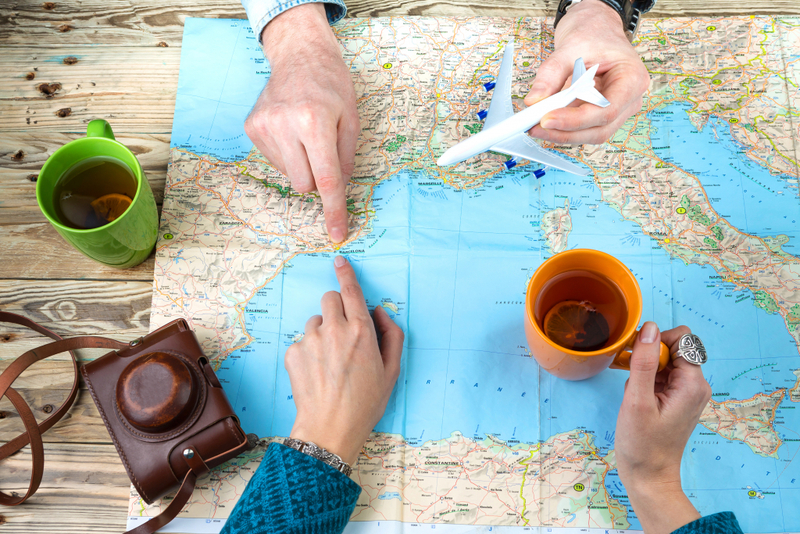 Check out route planning websites for help in finding those little-known attractions. Finally, take a current paper map as a backup. Cell phone service can be spotty in less populated areas, so you can’t always rely on your phone’s GPS system.